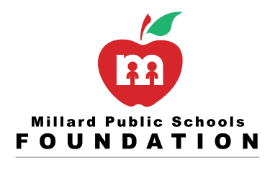 The Millard Public Schools Foundation will further the Millard Public Schools' mission by guaranteeing sustainable resources and supporting the community we serve. Millard Public Schools Foundation fundraising totals will increase annually. Financial support for Millard Public Schools will increase annually. We will operate high quality, effective programs and evaluate them annually. Visibility and awareness of the Millard Public Schools Foundation mission will increase annually. 1. We will develop and implement plans to increase profitability without giving up quality in youth programs. a. Increase visibility, enrollment and presence in the community through marketing. b. Increase partnership opportunities with MPS. c. Create quality programs/curriculum to encompass and enrich all aspects of the child's development and learning process. 2. We will develop and implement plans to increase Foundation revenue. a. Provide opportunities for first time giving through various programs. b. Increase annual giving programs through friend-raisers and fundraising. c. Develop a very clear message of need and secure donations to support the initiative. d. Engage the entire community by cultivating existing relationships as well as building new relationships to support our Foundation mission. 3. We will develop and implement plans to increase the visibility and awareness of the Millard Public Schools Foundation. a. The Foundation logo will be a recognizable symbol throughout all programs, operations and events. b. Use digital communication to engage and sustain relationships with community stakeholders. c. Print communication will be designed to disseminate information and educate the community. d. Promote the Foundation by having a greater presence within the community. 4. We will develop and implement plans to utilize district and foundation leadership to create a stronger partnership. a. Foundation leaders will be active as ambassadors in the community with school, business, and civic and parental groups. b. Develop a comprehensive communications plan that focuses on community engagement and utilizes key leaders. c. The leaders in the Foundation will engage alumni and community boosters in school activities and events.